Smart thermostats are controlled by an app on your smartphone, enabling you to change the temperature of your house even if you’re far from home. The more advanced models learn your habits and automatically decrease or increase the temperature based on your usual schedule. Some smart thermostats, like the Honeywell Lyric, set your thermostat to the “away” setting when you travel out of a pre-set range. Once you enter the range again, the app activates the “home setting” and turns on the heat or air-conditioning. Country Classics homes include multiple pre-wired access points to be smart home ready as a standard feature, so installation will be easy once you find the right smart thermostat for you. Strong rays of light from the sun not only raises the temperature in a room but also contributes to faded furniture, curtains and rugs. Choosing high quality, energy efficient windows helps solves this problem. For example, all Country Classics homes include Andersen 400 Series windows, which feature a high performance Low-E glass that seals out drafts, wind, and water to provide indoor comfort no matter what the weather is like outside. These energy efficient windows will help keep your utility costs low all year round. A solar array can help you decrease your electric bill and make your home more attractive to buyers when you eventually decide to sell it. Although adding solar panels to your roof can be a little pricey initially, you’ll enjoy lower utility bills for years to come. If you produce more energy than you need on sunny days, you’ll receive credits from the utility company that will be used to cover the costs of electricity during overcast days. 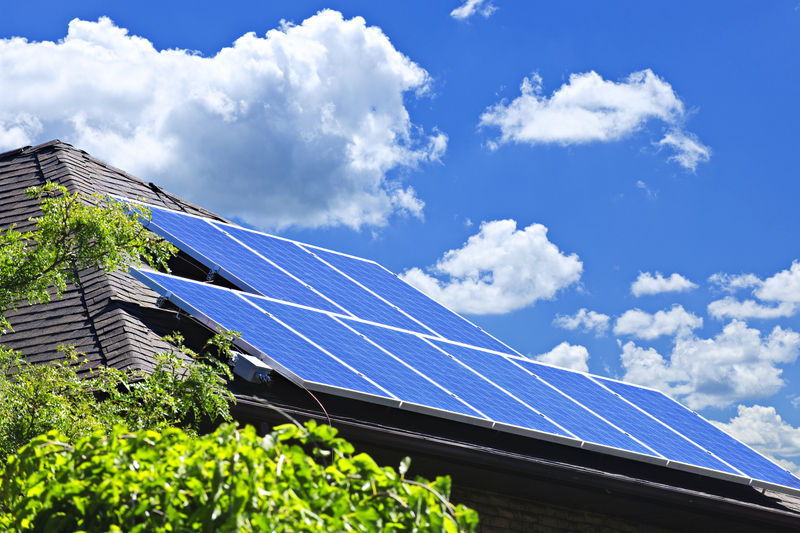 You may even be able to take advantage of a federal tax credit simply by installing a solar array. Water heaters typically feature several heat settings. The highest setting is probably much hotter than you’ll ever need. You’ll save money and reduce the risk of burns when you choose a medium setting. Tankless water heaters could help you save even more. The heaters don’t store heated water but create it when you need it. According to the U.S. Department of Energy, tankless water heaters are 24 to 34 percent more efficient than traditional heaters if you use 41 gallons of hot water or less every day and 8 to 14 percent more efficient if you use 86 gallons of hot water daily. Swap compact fluorescent (CFL) and light-emitting diode (LED) bulbs for incandescent bulbs. Both types of bulbs last much longer than incandescent bulbs and use less energy. Use your blinds and curtains to keep your home cooler during hot summer days. Nowadays, you can install shades that can be controlled remotely from your smartphone. Choose your new home wisely. Floor plans can vary significantly from builder to builder. Energy-conscious builders include plenty of windows and doors that flood your home with natural light, even on cloudy days. Don’t run your dishwasher and washer unless they’re full. Running these appliances half full wastes energy and can lead to higher utility bills. Turn on fans to circulate hot and cold air. Fans, whether they’re ceiling fans or simple box fans, offer an easy way to keep your home warmer during the winter and cooler during the summer. Service your furnace and air-conditioning system yearly. Clogged filters can decrease the efficiency of these systems. Would you like to save money on your utility bills and take advantage of energy-efficient features found in new homes? The brand new four-bedroom, 2.5 bath executive homes at Country Classics at Hillsborough make energy saving easy, thanks to a variety of environmentally friendly features. Contact us if you’d like to become the newest owner in the community’s final phase.